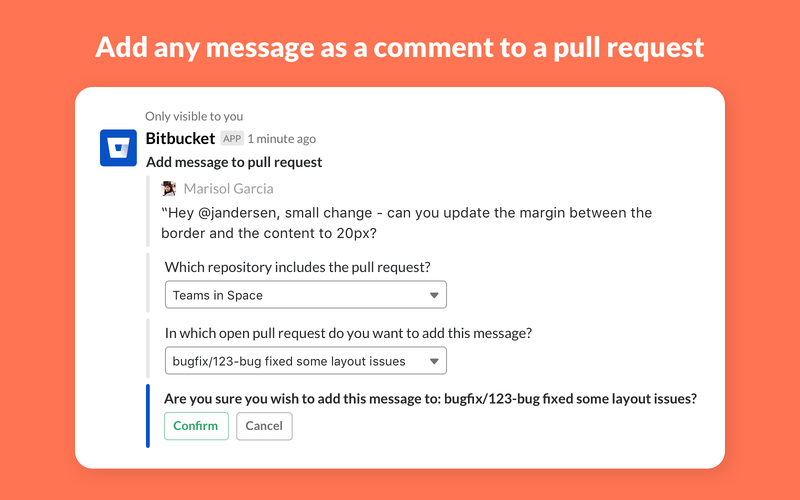 • Add any Slack message as a comment to a pull requestAlready have the bot installed? Click here to learn how to configure your notifications. 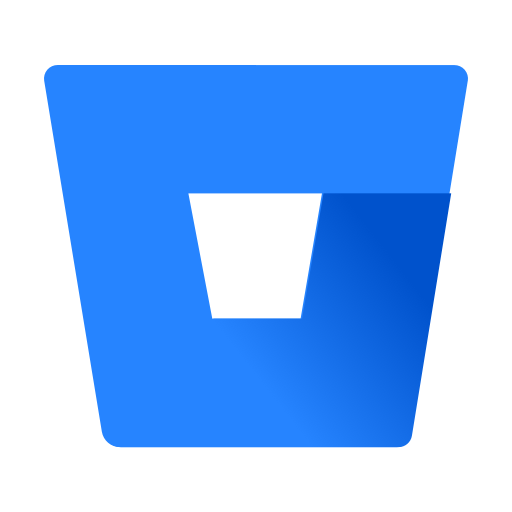 Bitbucket Cloud will be able to view bitbucket.org URLs to provide previews and other functionality. Bitbucket Cloud will be able to access basic information about your public channels (including names, topics, purposes, creation date, and latest message). Bitbucket Cloud will be able to access basic information about your private channels (including names, topics, purposes, creation date, and latest message). 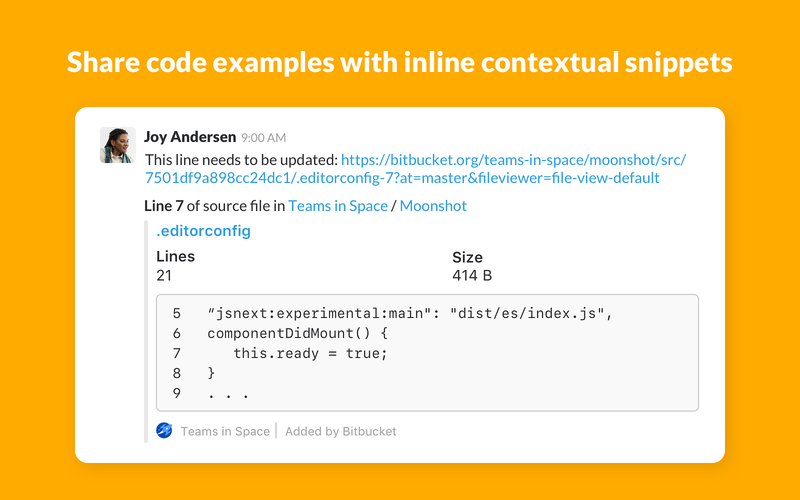 Bitbucket Cloud will be able to add link previews for messages containing bitbucket.org URLs. 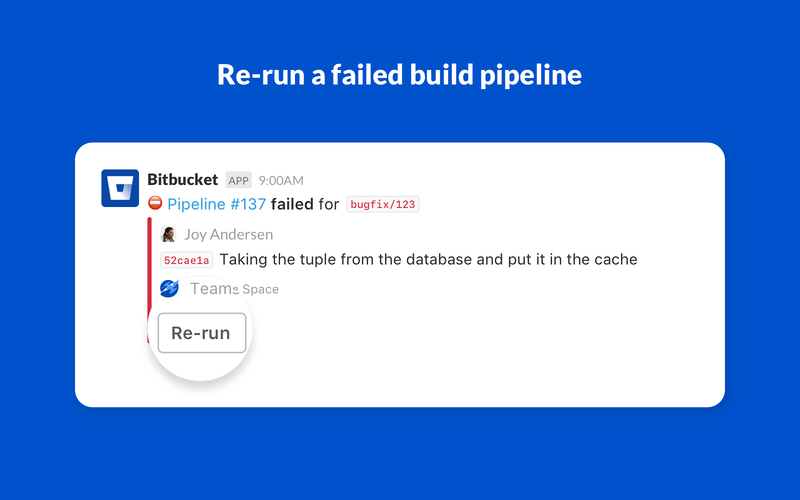 Bitbucket Cloud will be able to modify information about your public channels, including name and purpose, as well as archive and create new ones. Bitbucket Cloud will be able to modify information about your private channels, including name and purpose, as well as archive and create new ones. Bitbucket Cloud will be able to access basic information about your group messages (including names, topics, purposes, and creation date). 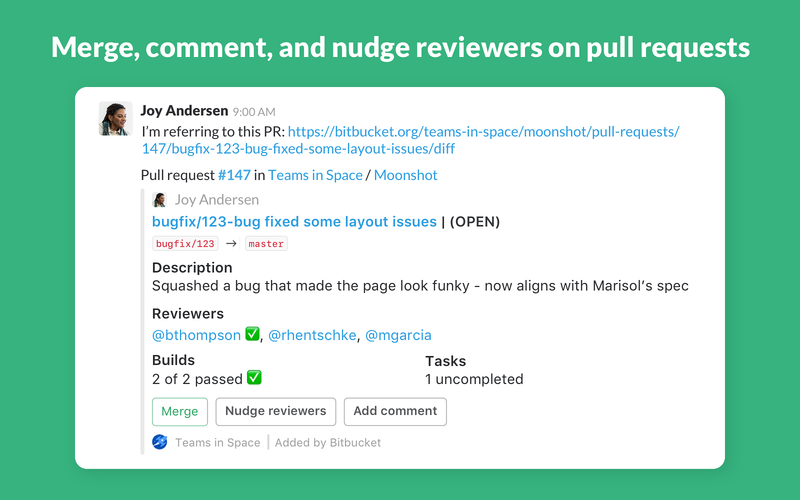 Bitbucket Cloud will be able to install a bot user that appears in and has access to your workspace’s directory. It can also post messages and view activity on messages in any channel it is invited to.